A large number of genetic mutations have been identified in childhood acute myeloid leukaemia (AML), with any one child having between 5-20 mutations. The role played by these mutations, alone and in combination, is not fully understood. This project will develop a model system that will facilitate the study of these mutations. Ultimately this will aid the development of more effective treatments. Acute myeloid leukaemia (AML) is the second most common form of childhood leukaemia. It has a substantially worse outlook than the more common form, acute lymphoblastic leukaemia (ALL). It is now well known that errors (mutations) in our blood stem cells lead to the development of AML. A large amount of research has been carried out to identify the mutations that result in leukaemia and more than 250 mutations have been identified. We know that a single mutation is not enough to cause leukaemia; each child with AML will have between 5-20 of these mutations. However it is thought that one mutation can act as a master ‘trigger’. This is termed the ‘driver’ mutation. In most cases we don’t really know the role played by other mutations that are present in leukaemia cells. The idea behind this project is that a ‘driver’ mutation needs a ‘secondary driver’ to convert a normal cell into a leukaemia cell and these “secondary drivers” are among the other mutations that we know are present. 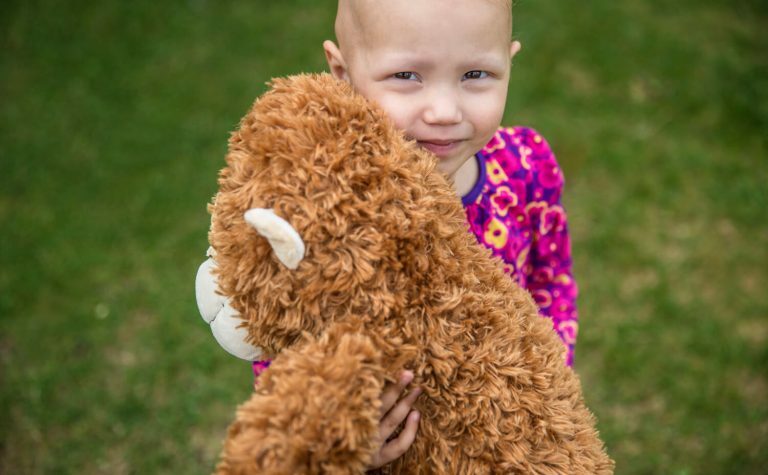 Although most childhood leukaemias are sporadic, there are familial syndromes where children can inherit a genetic mutation that leads to the development of AML. Although rare, these familial cases provide an important opportunity for the study of the genetics of AML because the “driver” mutation is already known. In this project, Dr Payne and colleagues aim to create a system where they can test the roles of possible secondary drivers to see which are the most important in the development of leukaemia. The model system uses a small freshwater fish called the zebrafish. Zebrafish develop leukaemia in the same way as humans and the genes that are responsible for programming blood development are the same. Zebrafish offer an excellent system in which to study blood and leukaemia because the young are completely transparent, enabling blood development to be seen in real time under a microscope. The Payne laboratory at the UCL Cancer Institute is dedicated to the study of inherited bone marrow failure disorders and leukaemias. They use zebrafish to model these diseases. Dr Payne trained in one of the world’s leading laboratories in zebrafish leukaemia models at Harvard University in Boston, USA. 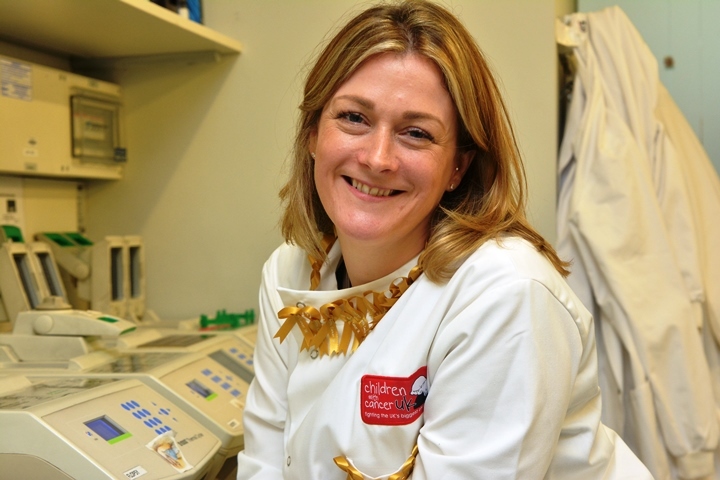 Dr Payne is also a clinical haematologist at University College London Hospital, where she treats patients with blood disorders including leukaemia and bone marrow failure. In addition to the world class expertise in zebrafish modelling of blood diseases, the Payne laboratory has a close collaboration with Professors Inderjeet Dokal and Jude Fitzgibbon at Barts Cancer Institute, world leaders in the field of familial leukaemias. They will provide detailed information about the genetics of the leukaemias that are being studied in this project. As part of September Childhood Cancer Awareness Month, we recently spoke to Beth, a researcher from UCL Cancer Institute in London. In this video, Beth talks about her project that looks into two different types of blood cancers, acute myeloid leukaemia and Myelodysplastic Syndrome. Beth also talks about her funding from Children with Cancer UK, her golden moment in her research and a message to Children with Cancer UK supporters.